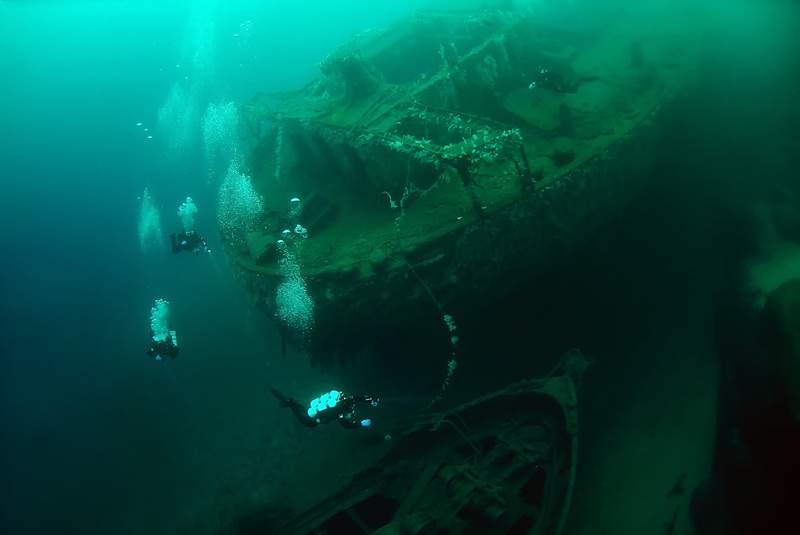 Where to go for diving WWII wrecks Fernedale and Parat? Most importantly, next morning allied aircraft discovered the ships and shot them into flames, therefore, Fernedale and Parat today share the same destiny. Parat with a length of 30 meters sank first, settling at a depth of 45-60 meters, most importantly the giant Ferndale followed her four hours later into the deep, besides that just missing to smash into the smaller vessel by just four feet! As a result, the wreck dive offers a perfect dive profile from 60 to 7 meters, suitable for both technical and sports divers. With a length of 116 meters and a width of 16 meters, Ferndale weighed 4.302 GRT. After the war, as a result, of the sinking, the bow and fore ship was salvaged, most importantly leaving the midship and stern untouched. Ferndale was built in 1925 in Germany and was besides that owned by the Norwegian shipping company Glittre AS. The German invasion of Norway was in 1940 and as a result she was therefore taken over by the Kriegsmarine to be used as a supply ship.